Sue and Joe Knowles ’50 committed a $7 million planned gift for endowed scholarships supporting the College of Medicine and the College of Nursing at the Texas A&M Health Science Center. The Texas A&M Health Science Center recently received its largest individual gift—a $7 million planned gift for endowed scholarships. 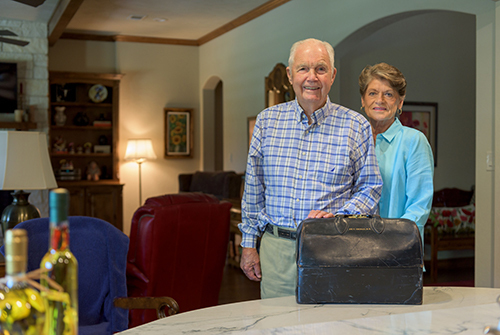 The gift will create scholarships for both the College of Medicine and College of Nursing at Texas A&M—a way for Sue and Joe Knowles ’50 to honor the importance of team health care and provide for the next generation of rural medical professionals. Joe Knowles began his undergraduate degree at Texas A&M in 1946. He went on to receive his medical degree from the University of Texas Medical School at Galveston and served in the United States Air Force. He was in the first group to pass the exams and get certification in the Academy of Family Practice and practiced in rural Borger, Texas, for 30 years. “No matter where you are working in a medical setting, doctors and nurses are a team,” said Joe. He explained that this is especially true in the military and in rural areas. When you’re a physician in isolated situations, team work and trust are essential, and it's why the couple wanted to give to both the colleges of medicine and nursing at Texas A&M. Joe fondly remembers three pieces of advice from an OB-GYN mentor during medical school regarding teamwork. Once a week while on OB-GYN service, three or four seniors would meet the mentor in his office and discuss medicine. “At our first session, he eyeballed each one of us individually and told us that not a single one of us can walk on water, and that we’d all be a lot better off if we didn’t get to thinking we could,” Joe recalled. “The second thing he told us was that we’d better pay attention to everything nurses told us about patients,” he added. “He made sure that we knew our goal, what we’re trying to figure out, a diagnosis and treatment to make patients better, and that we were a team. During all my years as a physician, we were always a team. “The third thing he said was that mother nature and the guy upstairs have figured out a pretty good way of having babies, and we’d better be sure to have a good obstetrical reason to alter that process,” added Joe, while pointing at the sky. 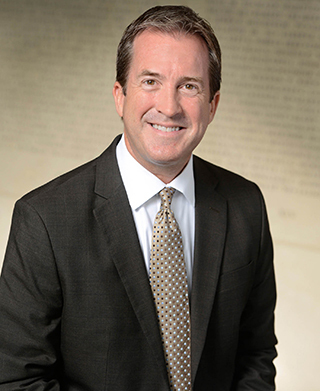 These lessons, and his experience in rural areas, made him want to give to both colleges and ensure that team work increases in the health care setting. For the Knowles, their love for interprofessional health care, the Texas A&M University core values and rural health care made the decision for the largest planned gift in the institution’s history a “good investment," as Sue said. Sue and Joe gained their passion for helping others receive an education from Joe’s mother, Zola Knowles, who was an art teacher at A&M Consolidated High School in College Station, Texas. Sue and Joe also plan to donate their bodies to Texas A&M College of Medicine’s Willed Body Program—for them, it is just another way to support the medical education efforts at Texas A&M. This planned gift is the second they’ve made to the colleges of medicine and nursing. The first came earlier in 2018, when they created the Sue and Joe Knowles ’50 Scholarship, two endowments for the College of Medicine and the College of Nursing, totaling $750,000. Mario Tovar and Katherine Lawrence are the first medical students to receive the scholarship. Kelly Xavier and Letty Hottell-Lantsheer are the first nursing students to receive the scholarship.